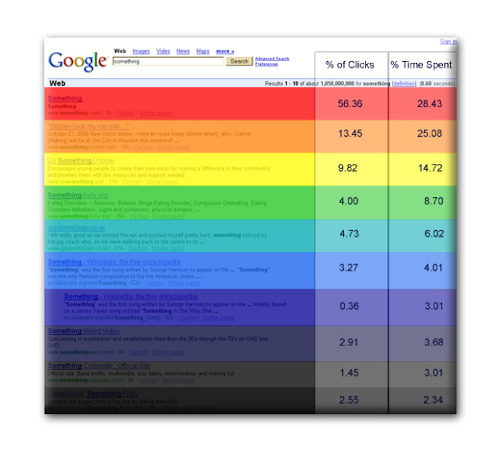 Search Engine Click Thru Rates are a measurement of how often people click on the various links presented in the top 10 (or depending on the person's settings, top 100) search results. 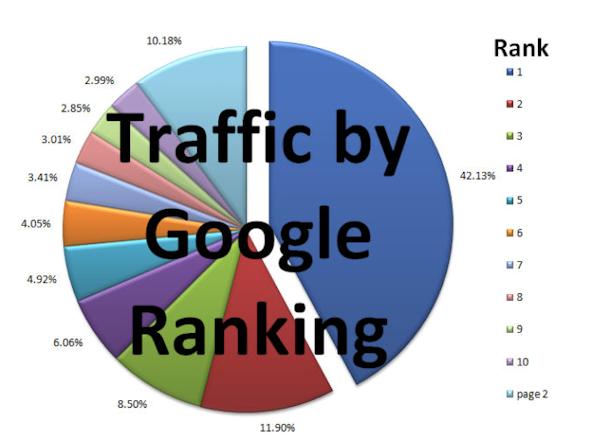 Generally speaking the close to the top your website is the more often it will be clicked. But how many clicks will you actually get? How many potential clicks really depends on the topic. ie. Toronto donkey races probably doesn't get a lot of traffic, but Toronto real estate does. That is really more a matter of sheer volume. How much a person gets as a percentage really depends on the position according to research studies done by a variety of academics. According to research by Donna Fontenot and Cornell University that top spot receives between 42% and 56% of the clicks when people are searching for that topic. According to Donna Fontenot 89.82% people click on the first page and 10.18% click on the second page. And if the content on your website is really good and deserves that top spot, it makes sense that people will spend more time on your website. SEO is about being at the top of the list naturally, due to your website being more optimized for that topic (due to a combination of keyword density and the number/quality of links going to it). SEM (Search Engine Marketing) is Pay-Per-Click programs like Google AdWords which allow you to pay for advertising that appears either on the side or just above the search results. Its not permanent and you are paying anywhere from 1 penny to several dollars for EVERY click you get (depending on the topic there is a lot of bidding for that top spot, especially when people are trying to sell expensive products). But SEM advertising gets a lot less clicks than being in the top spot of the search results does. The actual CTR varies depending on the keywords and the ad being shown, but these are the average Click-Thru-Rates according to Google. According to a British study, Britans are over 9% more likely to click on a local link. Since Google ranks a website's relevance based on how local they are, a site which is local is also more likely to get the top spot. Thus if you're advertising a product or service in Canada that has be purchased in person it makes sense that you would prefer Canadians coming to your website and not random people from around the globe.